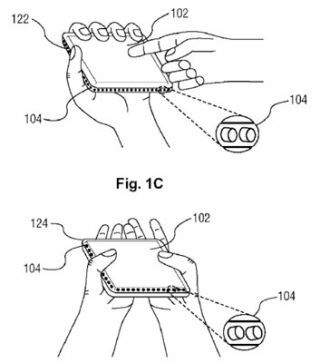 Perhaps the most intriguing thing about these two new Sony patent applications relating to a new touchscreen gaming interface is the fact that they were invented by Sony Computer Entertainment's recently departed Head of Worldwide Studios, Phil Harrison. "A handheld touch device that would allow both direct and gesture-based input and which would also provide force feedback across the entire display through a system known as "tactile pixels" – a grid of small bumps would lift to reach the screen and help simulate physical button presses or other effects based on touch input." Phil Harrison is listed in the patent filing as the codename and inventor of the device. The application, which, reveals potential uses for the invention could include a game device, phones or portable media players. The patent application which you can see here also lists potential uses for the invention as anything from a game device to phones, portable media players and email gadgets.